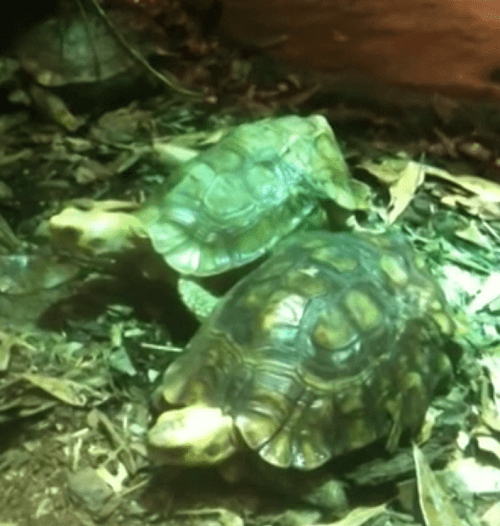 There are several subspecies of the hingeback tortoise, and each of these has unique habits and aspects of appearance that distinguish it from the rest of the pack. All these subspecies are native to different parts of Africa, ranging from the west of the Sahara all the way to the south of Africa. This subspecies features a softly rounded back with a shell of light shades contrasted against dark markings. Scientifically known as Kinixys belliana, the species is native to central as well as southern Africa. This tortoise generally likes to stays off the banks and forests and stays tucked away safely in the grasslands. Home’s tortoise is middle in size and comes packaged in a soft looking brown shell and a head that looks light and spectacular against the sun. It has large, amiable eyes and is quite easy to like. You are likely to find these little guys hanging out in the Ivory Coast, Congo and Nigeria. This is the largest member of the group, growing up to over 30cm in length over time if the conditions are right. It is in many ways similar to home’s tortoise except for its sheer bulk. Generally, all the three species mentioned are perfectly at home in warm surroundings. Bell’s tortoise however shows unique abilities to survive in harshly hot environments that the other two find it hard to handle. 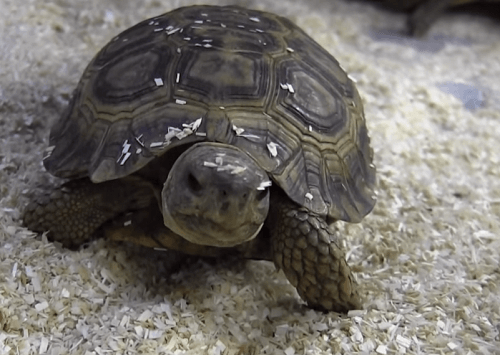 Home’s and Schweigger’s tortoises are notoriously allergic to dry environments and a prolonged exposure causes them inflammation of the eyes, myriad kidney diseases and respiratory complications. 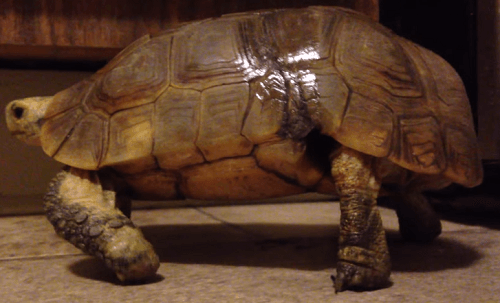 If you keep any hinge-back tortoise too dry, they tend to become very restless and over time withdraw into themselves, becoming inactive and lethargic all the time. Despite this, they make amazing pets as long as you spray fine mist on their shell from time to time. A good idea would be to provide them with enough amounts of water for bathing. Hinge-backs are great swimmers too so make the water levels substantial. The temperatures for the entire genus should always stay between 24 oC and 27 oC. They will become irritated if you allow in too much light so it is important to keep everything very warm and moist. Peats and leaf litter substrates are the ideal areas of existent for all three species. Kinixys are insectivorous and omnivorous in nature. In the wild, they will eat fruits, grasses, snails, slugs and millipedes. If they are in captivity, they get a little less choosy in their habits and will eat melon, tomatoes, peaches, slugs, earthworms and oranges. Some pet lovers will offer them god food with low fat content. However, you need to do this in moderation because too much of said food could cause all sorts of liver and kidney complications. Since Kinixys are predominantly outdoor types, giving them live food once a week is a great idea for their health and morale. If you notice that your brood is growing too fast or that the females are laying eggs, throw in some calcium supplements whenever you feed them. Keep in mind that hinge backs want to live with their own so do not mix them with alien species. Keep in mind that they are prone to parasites so it pays to check regularly.